Hand stitch an intricate garden of flowers with renowned Baltimore Album teacher Rita Verroca. Study Rita’s award-winning techniques with her detailed guide to appliqué, embroidery, inking, and trapunto. 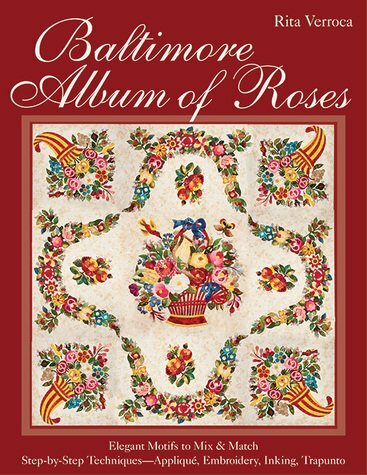 Five exquisite Baltimore Album quilts invite you to create your own masterpiece. Each pattern comes with variations to mix and match, plus helpful color and fabric suggestions. Connect to your quilting roots as you pay tribute to the time-honored style that has fascinated two centuries of stitchers.